A new domed lacrosse and soccer facility is coming to Pitt's campus. Although seasons for fall club sports teams are ending, the spring teams are just getting started. Teams are beginning to recruit new players, develop play strategies and create practice schedules for the upcoming season. Pitt Fencing’s most recent success includes six team members placing eighth or higher in individuals for the three different types of fencing (foil, sabre and épée) and the men’s team foil placing fourth in the Southern Atlantic Conference Championship on Oct. 20 in Swarthmore, Pa. In the USA Collegiate Fencing Conference national tournament, the women’s team épée placed third. The team practices four times a week, alternating between drills and open fencing. The sport and its practices emphasize proper footwork and cardiovascular endurance. But even with all of the hard work and dedication the Pitt fencing team shows within its year-round season, it can still have a little fun. Pitt Men’s Lacrosse is striving to recruit members to make it to the Conference Championship and Nationals this upcoming season. With the loss of so many starting seniors, the team wants new members to fill those positions with fresh talent and help send the team to victory. 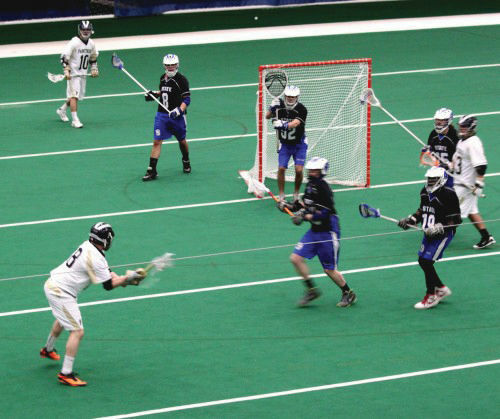 The team plays in the CCLA Division 1 East, along with schools like Michigan State, Ohio University and Central Michigan. Last year, the team finished the season 7-8 and lost during the semifinals. The biggest game it faces this season comes in April against Michigan State. The Spartans won against Pitt each of the past three years but only by a few goals. Pitt plans on changing that streak this year. The team participates in scrimmages and tournaments all fall in preparation for the start of its season in January. During the spring, the team practices Monday through Thursday around 10 p.m. and does conditioning or morning runs on Friday and Saturday. “Special crew,” he added about the team as a whole.